If you’re detail-oriented, a lover of numbers, and honest to a fault, a Bookkeeping Service might be the perfect match for you. The fact that so many people dislike doing bookkeeping is good news for anyone who enjoys the ins and outs of financial record keeping. Lacking time or inclination, entrepreneurs and growing businesses often need help with their financial housekeeping despite the availability of easy-to-use accounting software. Gustavo A Viera CPA who has a Bookkeeping Service division told us, “While doing business is getting more complex, people aren’t getting better at handling their money. Today virtually everybody needs some professional guidance.” Yet most small businesses can’t afford to hire or keep full-time bookkeepers. Independent Bookkeeping Service are in demand even during economic downturns because businesses realize that if they aren’t careful about their money, they soon won’t be in business. 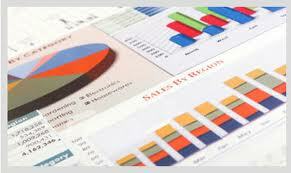 As a result, bookkeeping can be a good business year in and year out. However in downtimes, you may have more competition, because some accountants need more business to keep busy and will seek to pick up Bookkeeping Service business.” Accountants are trained for small-business bookkeeping though but sometimes are apt to outsource the bookkeeping work they get. To be successful, independent Bookkeeping Service need to be thorough, dependable and accurate as well as skilled in using accounting and sometime spreadsheet software. You must enjoy paying attention to details, and honesty and integrity are crucial. If you’d be tempted to go along with a client who asks you not to report or to hide income, it’s best to look for another business because you won’t last long in this one. A client who’ll ask you to use questionable practices may have no compunction about not paying your bill.